4. one dryer vent cleaning. *HVAC (Heating, Ventilation, and Air Conditioning) refers to technology of indoor or automotive environmental comfort. Air Duct Cleaning : If not properly cleaned, vents may become contaminated with particles of dust, pollen or other debris. If moisture is present, the potential for microbiological growth (e.g., mold) is increased and spores from such growth may be released into the home`s living space. Some of these contaminants may cause allergic reactions or other symptoms in people if exposed. The experienced technicians from Dr Air Duct will help elevate homes` air quality, health, and energy efficiency. The ventilation virtuosos begin by opening all vents and brushing the entry of ducts to startle any dust, pollen, or napping house elves. After debris is agitated, technicians use power vacuums and negative pressure to draw air through the system and dislodge contaminants. During a comprehensive furnace inspection, climate controllers assess the blower, heater, coil, and filter to ensure efficient functionality. Regular dryer-vent cleanings help reduce indoor fire hazards and economize the equipment`s operation by removing clogs caused by standing water and hardy strains of lint that have mated with the native dust-bunny population. Dr Air Duct scours and sanitizes ducts throughout the entire home using soap- and odor-free products that are hypoallergenic, nontoxic, and contain no VOCs. 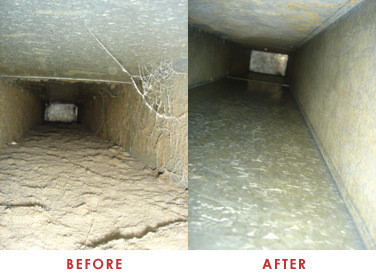 Air Duct Cleaning helps to curb indoor air pollution and allergies, increase energy efficiency, and clear all indoor tunnels. The most important reason why dryer vent cleaning should not be ignored is because a blocked vent can easily cause fire. With regular use, the lint from the clothes would get trapped in the vents. This would block the passage for the air circulation. Since the passage would be blocked, the dryer would have to work harder for drying the clothes and would overheat in the process. When the vents remain ignored for too long, it can cause fire. Regular cleaning would actually increase the efficiency of the machine and it would also make the dryer last longer. These dryers also have lint traps and screens in them. However, the lint traps would only be able to work with an efficiency of around 80%. This means that the rest of the lint would be trapped in the vents. Let the right guys come with the right equipment and experience and do the job for you. Special brush and high power vacuum is used for cleaning out all the debris from the vents.